For Modern freeriders looking for a high performance. 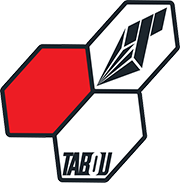 Tabou wanted to make a faster Rocket, so they made it shorter, wider, thinner. 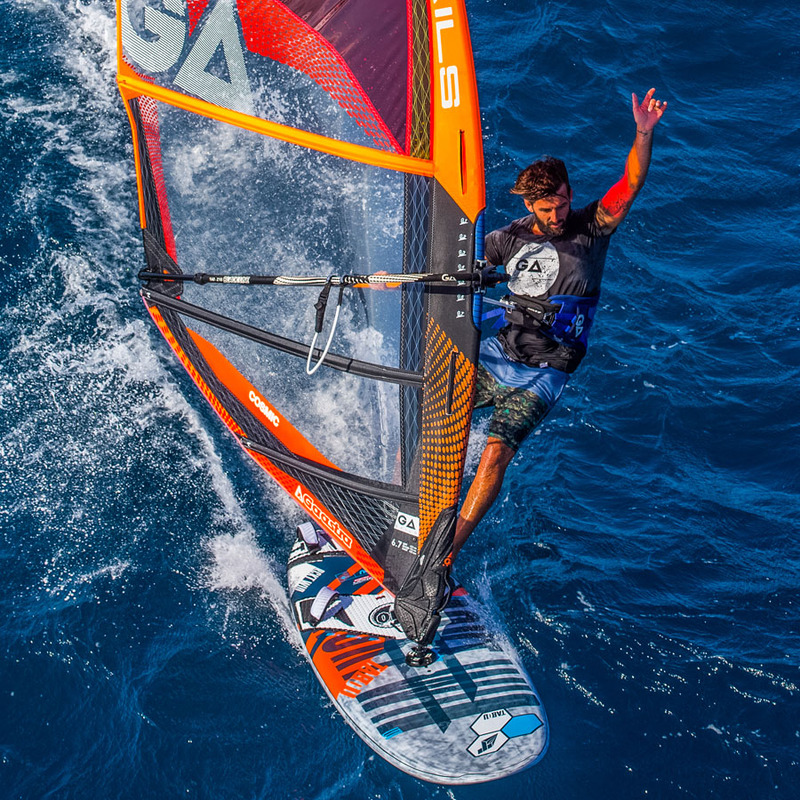 The end result is a marriage of freeride and speed: fast in the straights, soft to ride and, easy to jibe. The extra width of the Rocket Wide increases planing surface for better acceleration and to carry speed through lulls which is good in gusty winds or on freshwater lakes. 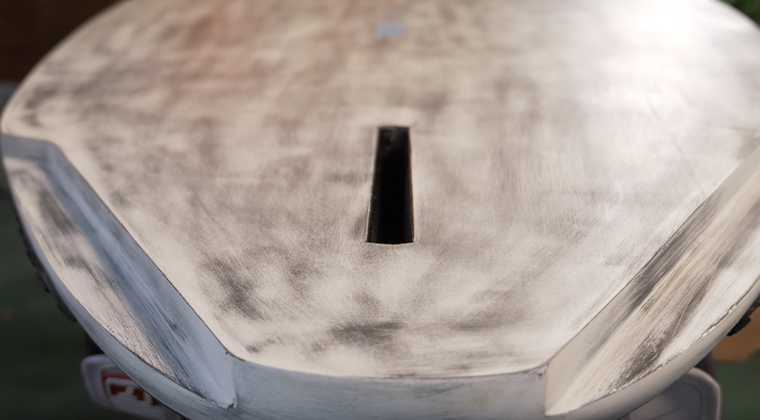 The width also helps to keep speed and balance during jibes. 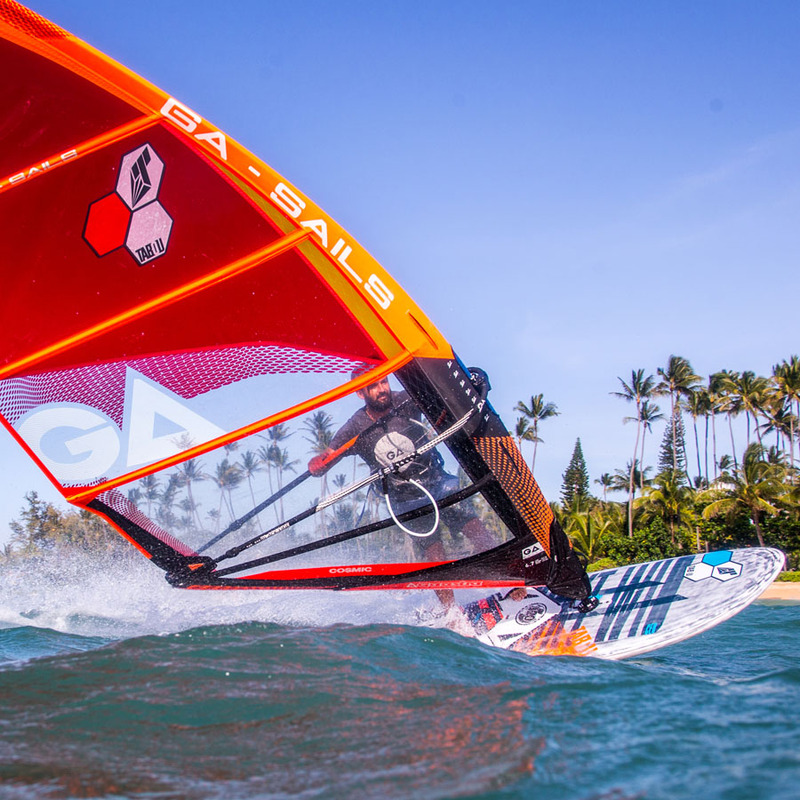 The slalom features in the tail, give the Rocket Wide enough speed to compete against race boards, all with a freeride comfort. There are 4 sizes to choose from, depending on your weight. Volumes to choose are: 100,110, 120 and 135 liters. Extra width increases stability in non planing conditions and increases wet surface for better acceleration and to carry speed through lulls. 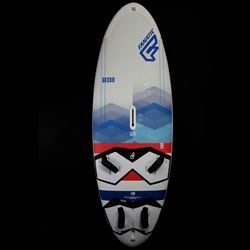 The rocker line gives board better acceleration and makes Rocket Wide very easy-planing board. Tail cutouts increase top speed and provide wonderful racing feeling while riding. Rocket Wide features quality comfortable 4 Tabou footstraps. Footpads made of EVA provide soft feeling. 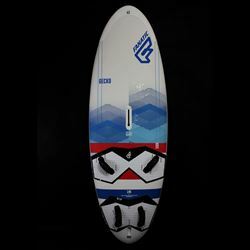 This board has footstrap positioning to suit any level from beginner to part-time racer. 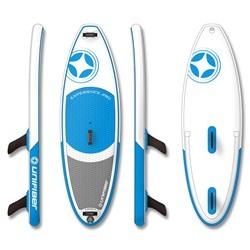 Rocket Wide has single fin box with Powerbox system, where you mount your fin with one screw from the top of the board.Rocket is equipped with high-class T-lab FR fin. 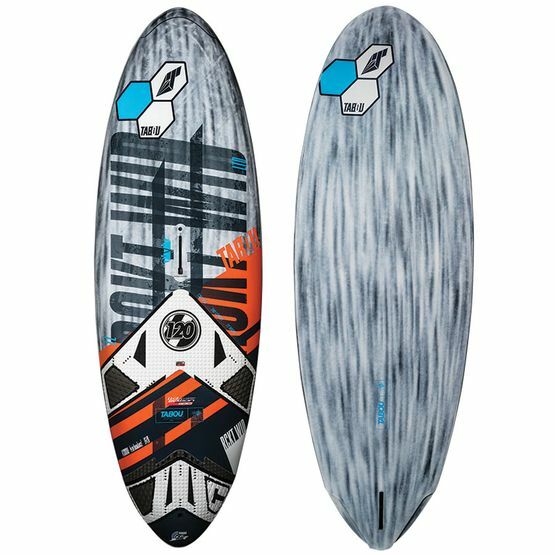 Rocket Wide is build using Carbon Biax Sandwich technology which provides great durability, stiffness and makes board light. 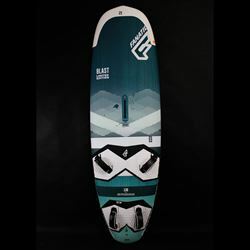 This board, like all Tabou boards, comes from the hands of famous Fabien Vollenweider. 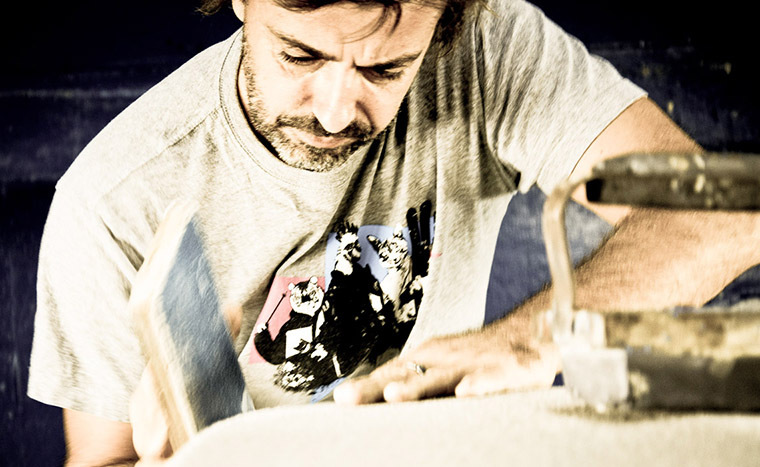 This French designer has more than 25 years of experience in shaping windsurf boards. 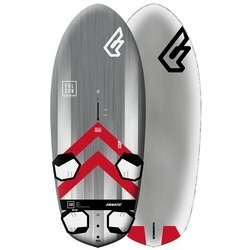 Is this board supplied with a board bag and a base plate? 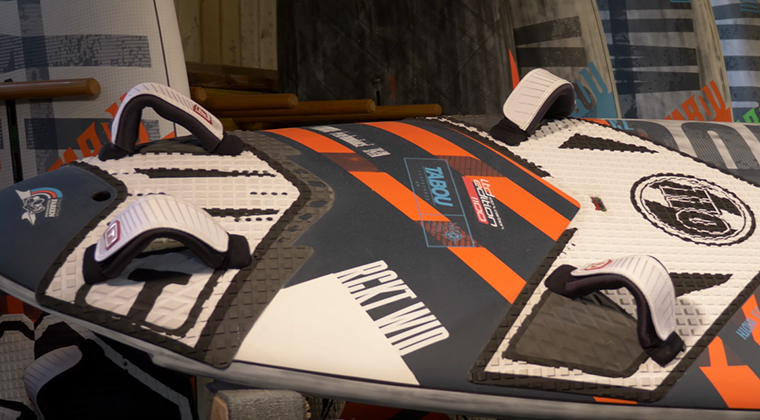 These days all boards come without boardbag and without base plate. 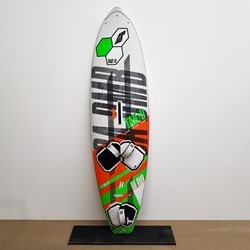 The reason behind is that many windsurfers they already have some older boardbags or base plates from their previous purchases, so it make no sense to include these items. Also, who would like to pay some extra euros or dollars? 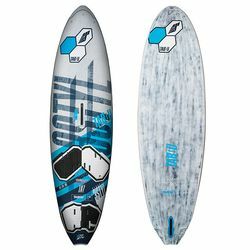 Here at EASY SURF Shop we can assist you with picking up the right boardbag and base, which can be packed together and shipped to you. Please ask for a good quote for these extra accessories. Can you screw in the straps for me? This is no problem, we can do it for you. It makes us to unpack the board from an original packaging (carton box, and plastic foil),, but we do it anyway to control the board befor dispatching to you. 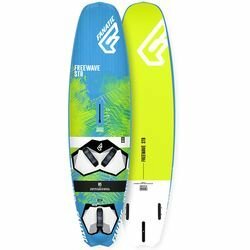 As boards have a few options to screw the straps on, please indicate what you want. Ah.. and don’t call us to fix the fin for you. That we won’t do… :). Where do you ship this board from and how long does the shipping take? Our main logistic warehouse is located in West Poland. This is a great location for sending goods all around the Europe and even further to some outside Europe destinations, as we have very good connections thru Germany. Sometimes we deliver boards straight from our partners’ warehouse, just to save on time. As boards are too big to ship with UPS or DHL, we have to use big logistic forwarders like Kuehne+Nagel or TNT. That makes the whole operation a bit longer as it is not over night service. The shipping times varies from destination to destination, however it is a matter of 3-10 days. Please note sometimes we have to import the board from our supplier first (another few days). Don’t hesitate to check with us on the Live Chat. I’m afraid the board gets damaged while being shipped. Solution? We do extra efforts it wouldn’t happen: the board you purchase is quality checked before dispatching to you. It includes the packaging as well and if we find out that we need to pack it even better than the original packaging - we do it. So please don’t be confused if, for example you ordered Tabou board and it comes in a box with Starboard logo. That’s only because it was packed with additional box, coming from some Starboard. Please check if all items have not been damaged in transport. If any damage is visible, you have the right to refuse the delivery and ask to have it returned. If you cannot thoroughly check the goods please sign for as ‘unchecked’. It is your duty to inspect and confirm that the goods are in perfect condition before signing. In any case, just inform us immediately. But never worry - all shippings with boards are insured. You’ll never be left alone. 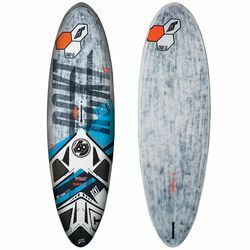 I have a warranty problem with this board - what to do? 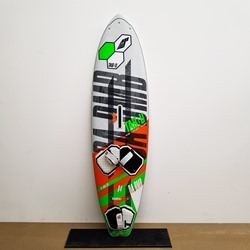 All windsurf boards we sell are manufactured in Far Easy, therefore it is not possible to send the board back to Thailand for their inspection or reparation. In order to deal with warranties straightforward we need to ask you to submit the following information. Claim description - In your own words please describe what and how it happened. Our Support Team will come back to you.